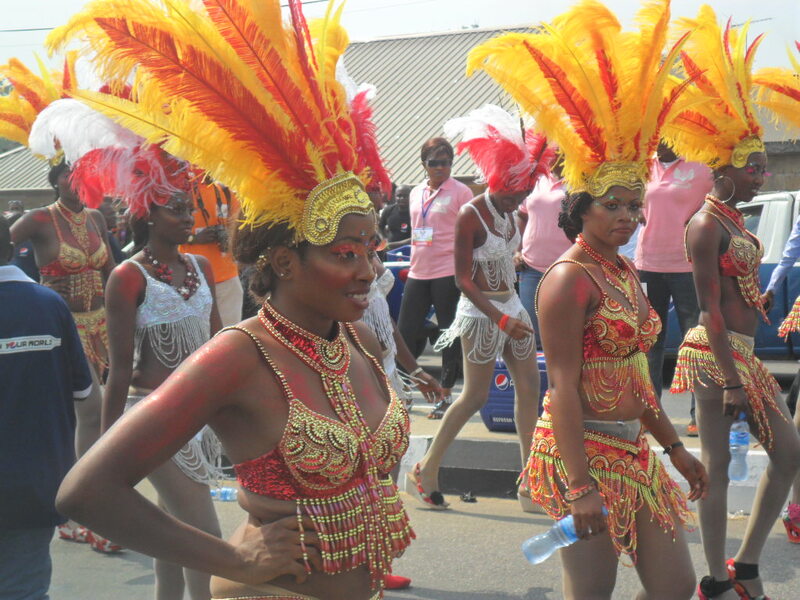 CHRISTMAS IN CALABAR | ItuaLive! The Year 2011 has finally come to an end. It was glad to see the end of a year that witnessed a lot of bloodshed in Nigeria. I hope that 2012, will usher in laughter and joy and peace and happiness. I love Nigeria and we should understand that without peace, there can never be economic growth. I admonish you all to strive to be better as a unit so we can all be stronger as a whole. I thank you all for the support you have given Itualive! and , I wish you all a very prosperous 2012. And so in the spirit of the New Year, in this month of January, I will not post any write-ups relating to Bombs, Boko-Haram, bullets, subsidy removal or (Oh-my-God), the senseless killings that happened today in Eboyi State. It will be happy posts all the way. And to begin this series of happy posts (wink), I got my friend (rather cajoled him) to write on his experience at the just concluded Calabar festival in Cross River State. When I read it, it made me smile, and I hope you will too…Happy New Year! If your boyfriend no dey do you well….clap, clap, clap, clap….away! Such a catchy tune I must admit…more so after this trip. I got into Cross River State on the 24th of December from Vandeikya in Benue State. Due to the poor state of roads in the country, the journey into Cross River had promised to be long and tedious. And tedious it turned out to be! The image I had formed of Cross River State prior to my visit was that of lush green vegetations with flowery trees hanging on every side of the road, a plush lifestyle of the people and roads devoid of potholes; but nothing on earth could have prepared me for the disappointment I got only three minutes into Ogoja. Ogoja, I was told is the major town before Calabar and about 72km away from Ikom. The bad roads there dealt intricately with every spine in my body from Ogoja to Ikom and only got better after we got to the Atimaka Bridge. I turned to ask the passenger beside me when we got to Ikom whether it was clear sailing from then on to Calabar. I wanted to know if we where anywhere close because I had gotten really cranky. But he just grinned and pointed at a road sign which read, “Calabar – 214km, Cameroon – 225km”. About the potholes, he was kind enough to add: “it is better from here on”. I almost reeled in excitement. This incipient joy, led me into thinking I could head over into the neighboring country of to get my passport stamped just for kicks. After all, it was invariably the same distance. Actually, the distance from Ogoja to Calabar was farther than from Ikom to Cameroon. Phew! We made a pit stop and when the driver returned from his rest we journeyed an extra 214km into Calabar. The bad roads did not reduce passing through Obubra; the driver was swaying from one side of the road to another, like a snake through the grass to avoid potholes. I got a slight relief from the waist pains at Iyamogong and Ovonum. The mind however, is a funny thing and the body does not remember pain. After passing through Ugep and Akamkpa and finally arriving at Calabar, the instant amnesia that hit me was overwhelming. I have never been to Calabar, and I must say it is a beautiful town! I got there at dusk and the Christmas lights were already up all around the town. The driver of the bus finally came to a stop at Gbogobiri; a name I thought was strange. Before I got to my final destination, I passed by the slanting flood lights of the stadium, the gigantic National flagpole of the Millennium Park and the Cultural Centre which was already a beehive of activities. My pain was gone…. The sight of a town with so much vivacity pulsed my veins heavily. The people in this town lived for this time in the year, it was some sort of African Saturnalia. A friend of mine was to pick me up and while I waited, I took some time to mill around the cultural centre. Everything was being sold there and as I got to look around, I discovered it had been an open market since the first of December. Music blared from every angle cutting through distance and space and people switched to beats as they walked shedding each sound like cajoling vendors in a market place. That night, I slept with promises and dreams of Christmas in this beautiful city. The next day, I was jolted from my sleep by text messages wishing me a Merry Christmas. I replied them, sent as much as I could and called as many people my call credit could afford me. I prepared for church. There was a Winners Chapel in Calabar and I asked my friends to take me there regardless of the present “slaps giving” video brandished all over the internet. Winners and The Redeemed Christian Church of God are the only two churches I can comfortably go when I am away from home. So I reclined into my seat while I listened to the preacher spew out those ever encouraging words. On stepping out of the church, I received two text messages informing me about the bomb blasts at Madalla and Plateau State. A sad countenance came over me and in some sort way, I felt a bit shocked because here I was in a different world, a different planet obviously impervious to the sadness of the country that surrounds it. Everyone was in a festive mood; jumping from one beat to another not aware that a little girl just lost her entire family in that blast. As it turns out, one can’t beat the system one finds himself, so eventually the merriment continued and the Guinness lounge had the highest turnout of people that night. Each person had space just enough to move within his own perimeter, bodies were close enough to touch willingly or unwillingly, the coloured lights flickered on and off intermittently. With the beats on, especially in these parts of Calabar, the thoughts of National insecurity receded fast like a demon shadow in the presence of light. The D.J put that V.I.P song on repeat, the crowd soared, and their hands synchronized….clap, clap, clap, clap away! “Africa’s largest street party”, as it is fondly called is a beautiful thing. 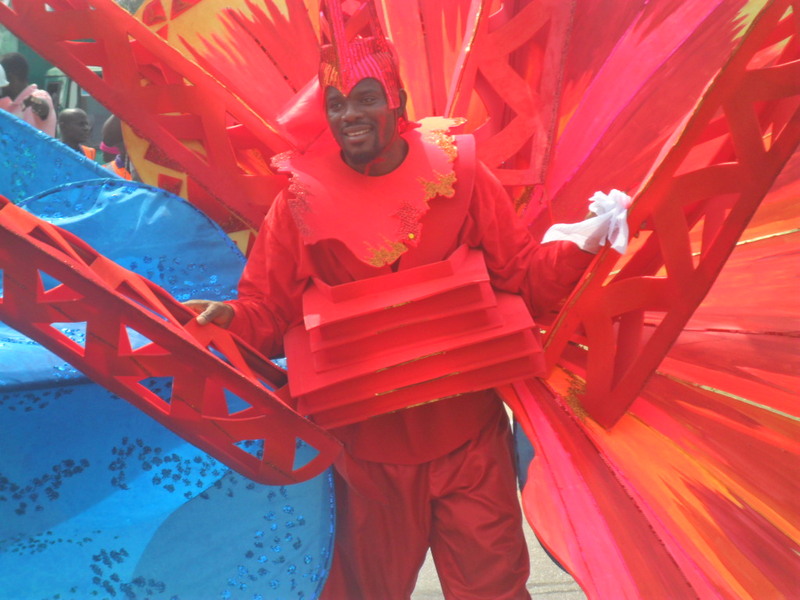 It draws people from all over the world and the states in Nigeria to this hub-spot for the two highpoints of the carnival which takes place on the 26th and 27th December ever year. This festival became popular when Donald Duke was Governor and the culture is being maintained by the Current Governor, Liyel Imoke. If there is one thing the successive governments in Cross River have successfully managed in every administration, it is culture and tourism. I mean, look at such places like Obudu and Tinapa (though underutilized in my personal opinion) are examples of tourist attractions that the state can proudly boast of. 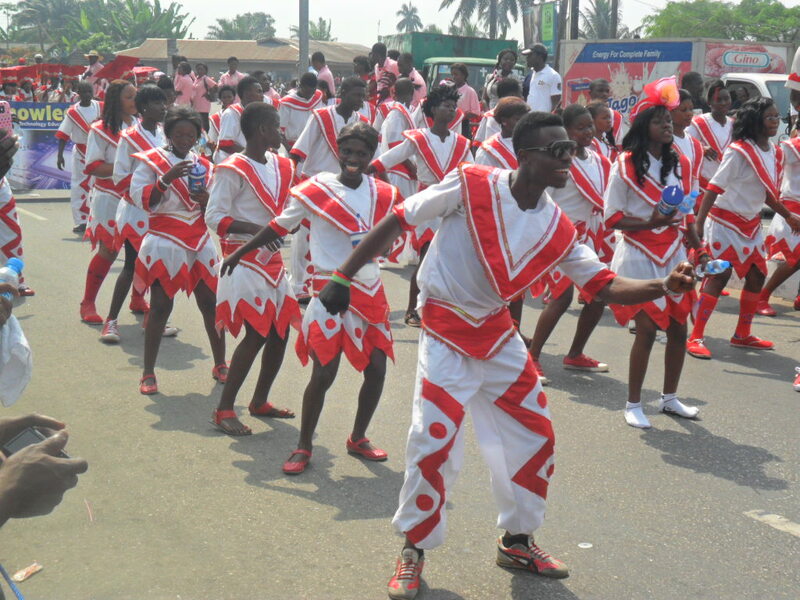 One good thing about the carnival is the sense of belonging which it gives the people of Calabar. It’s like their thought goes thus, “the world comes to watch our own thing”. During the children’s carnival on the 26th, mothers came out to cheer their children to dance. Though some of the children were tired, from the direct heat of the sun, it is not strange to see a dancer giving an on-looker a hi-five during the procession. On the 27th of December, at approximately 11.30am, the adult procession started. I was at Mary Slessor’s. I got to know that the carnival was actually a competition between five bands namely; Passion 4, Masta Blasta, Freedom, Seagull and Bayside. They danced choreographically and seductively to the blasts from the mighty trailer speakers anchored with tight ropes to the trailer’s floor. The crowd cheered, it was ecstatic. One thing I must commend is the costumes. The colours were bright and exaggerated. From red to blue, pink to purple, yellow to green. Everything shone like a mix of the rainbow with the reflection from the sun. Surely, a lot of hard work had been put into this great moment. I was not disappointed. Other groups which took part in the fanfare were the Immigration and Customs band, the Prisons band, the Police band, the 13th Brigade Akim Barracks band. Also First bank and Dangote Group of companies had their bands as sponsors of the event. I have no idea of who won the prize (10 million Naira I think) and maybe that’s not so important. I guess what is important is the fun such an event creates and also the revenue boost each year that such event provide the state. A very big thank you to my friends Emeka Okoli, Obiora Onyeagba and Tochukwu Okwonna who made my stay there worth its while. Probably the next time I will be writing about a carnival of this nature, it will be from the samba capital, Rio de Janeiro Brazil. Wouldn’t I just love that?